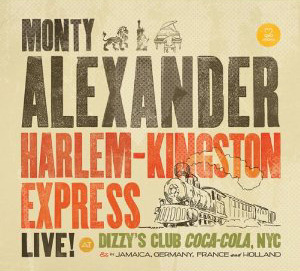 Monty Alexander belongs to the same piano tradition as Gene Harris and Junior Mance. All have a firm command of the blues that can effectively be translated into the ballad realm. 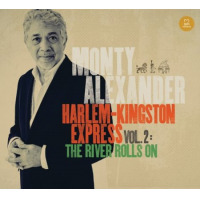 Monty Alexander has been cultivating this style and approach for thirty years, with fresh evidence on his new live recording. Alexander's affiliation with the two-fisted block chord approach is fully realized on Nate Adderley's "The Work Song," Neal Hefti's "Little Darlin'," and his own "That's the Way it Is." This is soulful orchestral piano playing, well conceived and thoughtfully executed. Long on intellect and emotion and short on cliché', Mr. Alexander perfectly distills his Caribbean roots into his interpretations of the American Standards. Recorded at New York City's Iridium, Live At the Iridium sums up a piano career in nine lengthy pieces. "The Work Song" and "Slappin'" are fully in the hard bop-funk mode. The rhythm section of bassist Hassan Shakur and drummer Mark Taylor propel and are propelled by Alexander, who brings in his secret weapon of percussionist Robert Thomas, Jr. to turn up rhythm heat that much more. Commanding is how I would describe it. Alexander resurrects the ballad "My Mother's Eyes" from the 1929 film Lucky Boy, infusing the piece with warmth and grace. "Happylypso/Funji Mama" allow Alexander to exert his island experiences musically. Percussionist Robert Thomas adds much to the ebb and flow of the island beat. "The River," from Alexander's spirituals recording of the same title, comes off as solo piano deep, still waters. The climax of the recording is Neal Hefti's "Little Darlin'." Mr. Alexander begins in a blue mode, flatting 5ths and 7ths and strolling into the familiar Basie introduction. He gives a seminar in crescendo building and tension gathering. Live at the Iridium is a fine live jazz recording, best suited to fans of Gene Harris, Junior Mance, Oscar Peterson, or Benny Green. 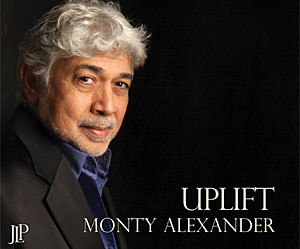 Monty Alexander is one of the finest practitioners of the standard jazz piano trio performing today. Track Listing: 1. Work Song, The; 2. Slappin'; 3. My Mother's Eyes; 4. Happylypso / Funji Mama; 5. River, The; 6. Runnin' Away; 7. Little Darlin'; 8. Mount Zanda; 9. That's The Way It Is. 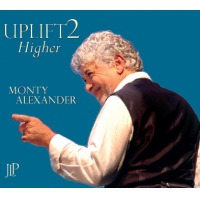 Personnel: Monty Alexander (piano); Hassan Shakur (bass instrument); Robert Thomas Jr. (drums, percussion); Mark Taylor (drums). Recording information: Iridium Jazz Club, New York, New York (05/21/2004 - 05/23/2004).